Most computer users experience problems with their computers from time to time. Problems in this regard means everything that keeps them from working properly with their computer. 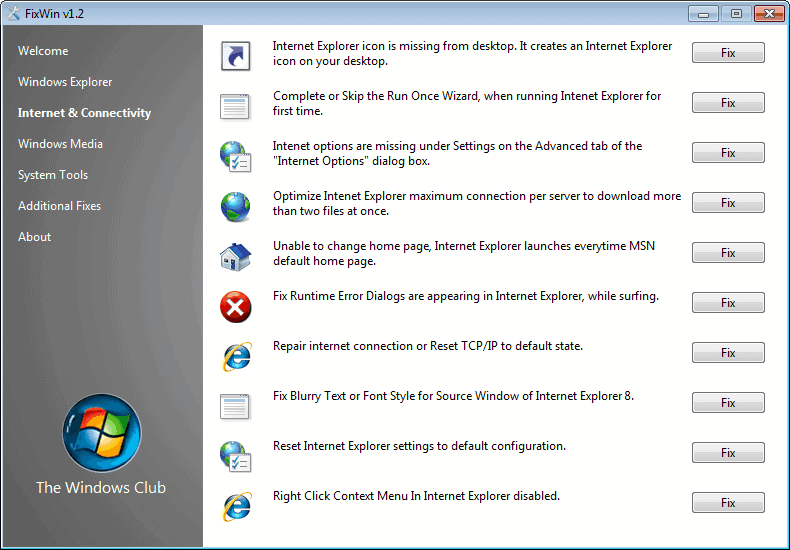 This can be Internet connection problems, missing programs or icons, broken system features or display problems. Whatever the problem is, it usually takes some troubleshooting skills to repair the issue. Issues originate from different sources. Maybe files were accidentally deleted on the computer, or modified or replaced by a virus attack. Maybe a tweak or software update had some side effects, or a crash causes the problem. Fixwin is a collection of 50 troubleshooting tools to repair issues in Windows. 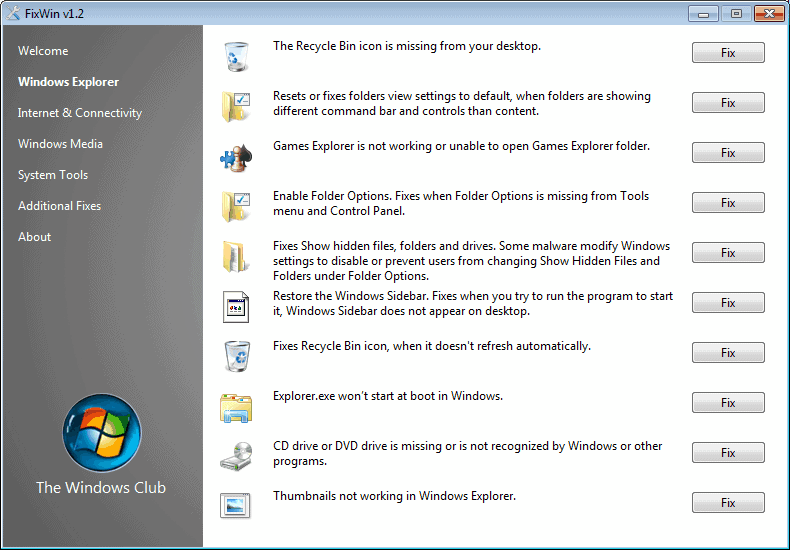 The program is fully portable and compatible with Windows Vista and Windows 7. The developers recommend two steps prior to using their tool. The first suggestion is to run the Windows System File Checker tool (sfc /scannow) to replace corrupted or modified files. This alone may be enough to resolve the computer problem. The second suggestion is the creation of a System Restore point for a fallback option in case a previous system state needs to be restored. 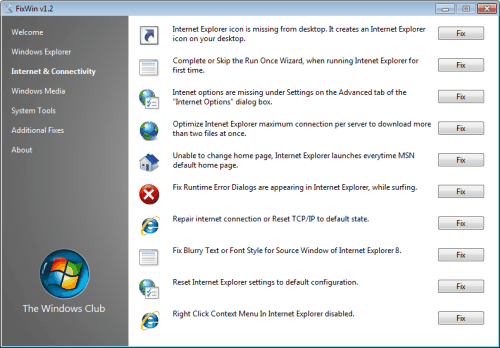 The program divides the fixes in sections like Windows Explorer, Internet and Connectivity or System Tools on the left side of the interface. A click on a section displays all available repair options on the right side. Each fix is listed with a short description that helps the user understand what it fixes when executed. A click on the Fix button next to each entry will initiate the repair of the issue. As you can see, FixWin offers many fixes for common Windows problems. The portable troubleshooting program can be downloaded from the Windows Club website.